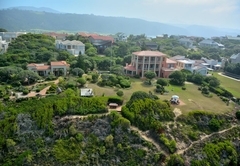 The Tuscany Guesthouse is one of the Wilderness guest houses and provides accommodation in 4 guest rooms for tourists visiting the Garden Route region. 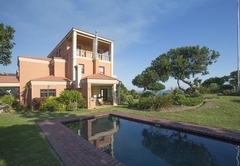 The Tuscany Guesthouse offers accommodation in a Mediterranean-styled villa, positioned in Wilderness. 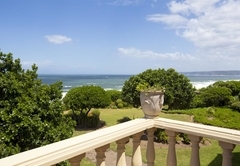 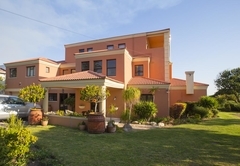 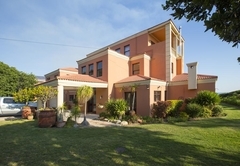 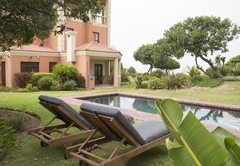 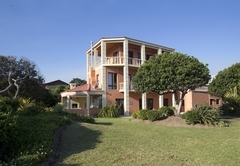 The villa is an ideal base from which to explore the Garden Route. 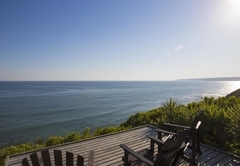 The establishment has a swimming pool and access to the beach via the cliff. 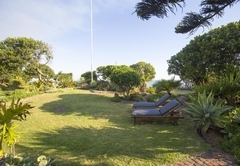 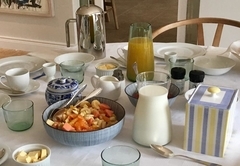 The B&B rooms (all with en-suite bathrooms and some with their own private seating areas), living rooms, gardens, terraces and lawns all overlook the ocean. 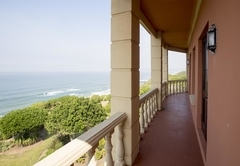 All bedrooms have balconies with direct views of the beach. 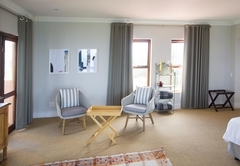 Room facilities include Wi-Fi, a fridge, TV and tea / coffee station. 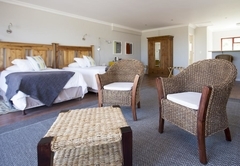 The corner room is furnished with a Queen-size bed and has an en-suite bathroom with a shower. 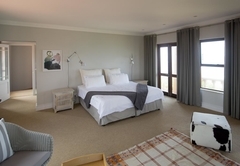 The suite has a Queen-size bed and the bathroom has a shower. 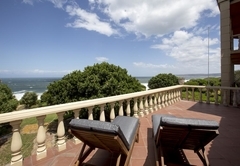 This large suite has a wrap-around balcony overlooking the Indian Ocean. 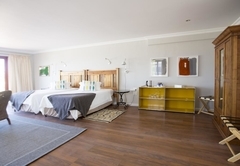 The private bathroom has a bath, bidet and shower. 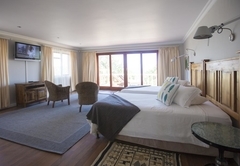 The bedroom with sea view is equipped with a Queen Size double bed. 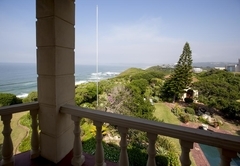 The room has access to a sea view balcony. 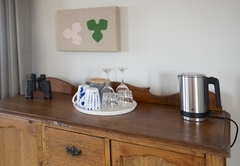 There is a tea coffee facility and TV set. 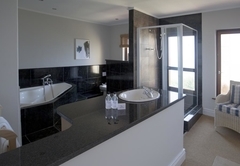 The bathroom has a large shower, toilet and hand basin. 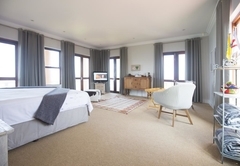 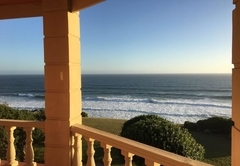 This large suite has a spacious wrap-around balcony overlooking the Indian Ocean and mountain ranges; and in clear weather you may even see as far as Mossel Bay. 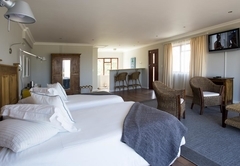 The private bathroom has a bath, bidet and shower. 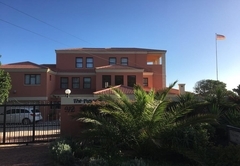 Response timeThe Tuscany Guesthouse typically responds to requests in 5-10 minutes.